Meet Sunny and his smiley friends, aren't they irresistible!! 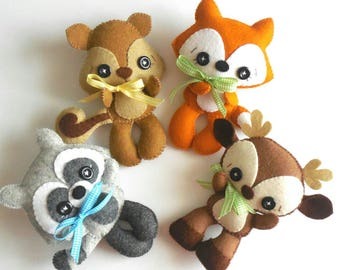 These adorable guys are quick, easy, and fun to make but also so versatile! You can make a lovely garland or the most whimsical nursery mobile. 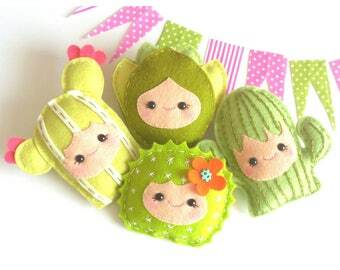 Enlarge them and make adorable pillows to complement any kids room decor. 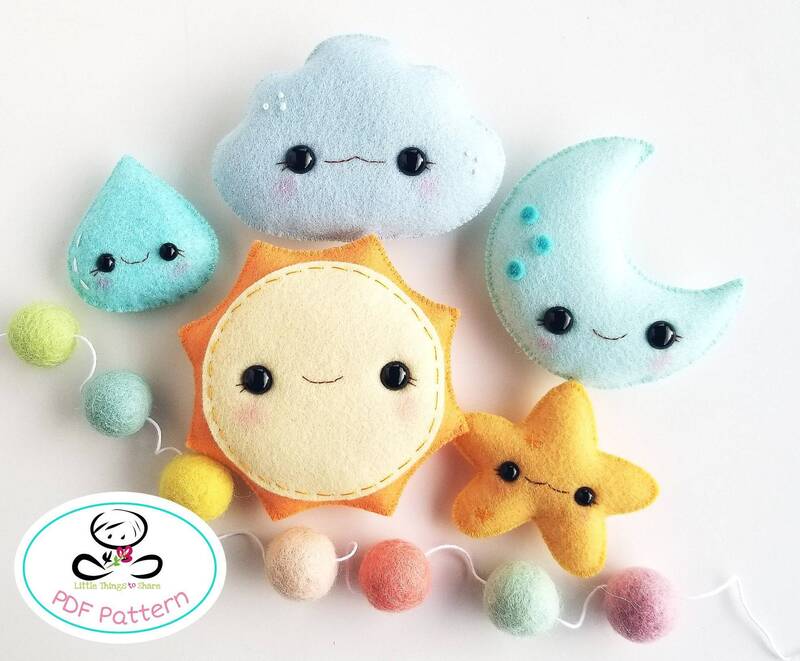 This PDF document will give you instructions and patterns to hand-sew all FIVE of them: The SUN, MOON, CLOUD, STAR and DROP. They all measure between 2 and 3.5 inches.